Ending months of speculation on the matter, Microsoft has revealed that Windows 8 on ARM will indeed contain a desktop—and that desktop versions of Word, Excel, PowerPoint and OneNote will all be pre-installed. Microsoft insists that the desktop holds real value, and that it makes Windows less valuable to users if it was missing (a view we're sympathetic to). 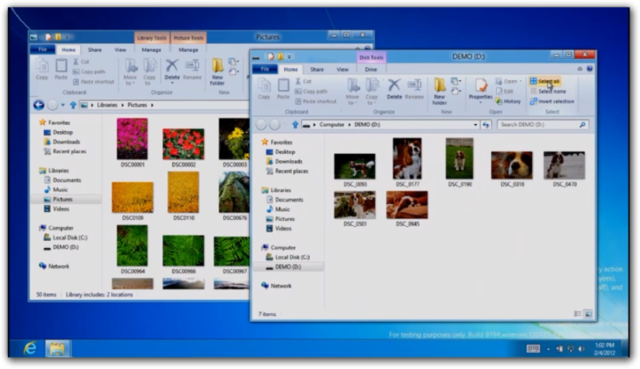 To that end, Windows 8 on ARM ("WOA") will have a desktop, with a taskbar, that includes Explorer, most of the current desktop utilities that ship with Windows (though not all, and Microsoft hasn't said what won't be included), and supports applications. All WOA machines will support USB and Bluetooth mice and keyboards, so users who want to will be able to use the desktop in a traditional way.